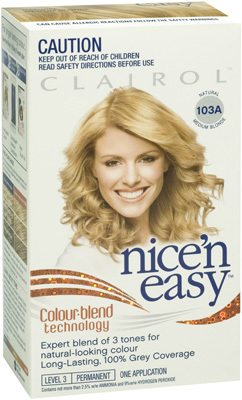 Global at-home hair colouring brand Clairol Nice'n Easy have today released the results from a national poll commissioned to prove that blondes really do have more fun. For those admitting taking to the bottle, 1 in 3 claimed they did have more fun, it's no wonder a third of the population of Aussie women are sporting golden locks today. Try enhancing your look in one simple step by adding unbeatable dimension with Nice'n Easy, the anti-flat hair colour, with tones and highlights built into every shade, for natural looking colour. The survey commission by Nice'n Easy and was conducted via the Femail.com.au website. 1398 surveyed, conducted in Nov 2010.